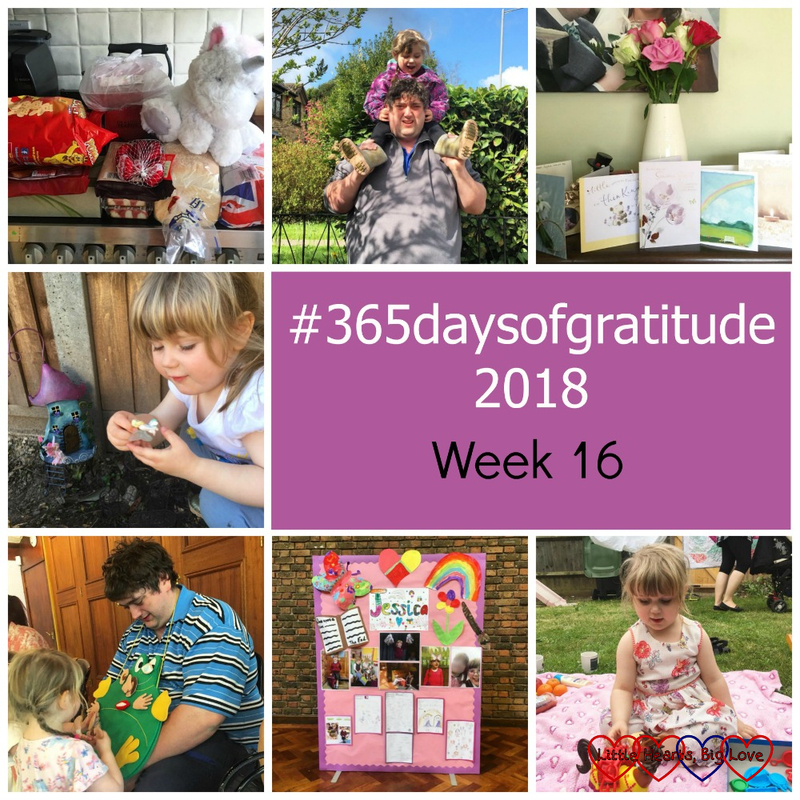 For the last two years, I have taken part in a daily gratitude challenge – sharing one photo a day on Instagram of something I am grateful for. It’s taught me to look for the little things and has made me a more positive person. It has not always been easy to find something to be grateful for each day though. This past week has been a particularly raw one, riding the huge rollercoaster of emotions that comes with grief, after the loss of my beautiful daughter Jessica. One of Jessica’s godmothers once described her as a “joy carrier”. It was, and still is, such a wonderful description. She might have only had half a heart, but it overflowed with love and she brought sunshine to all who knew her. She taught me how to be strong, how to live each day to the full and how to find joy in the challenging moments. I continue with this challenge each day in honour of her. Day 105 – I am grateful for kindness. Yesterday a fellow heart mummy popped by to bring us some frozen meals plus toys for Sophie. This morning we were sent a full food shop with some little treats from Sophie from the blogging community. We needed to get some shopping and this came at just the right time. We have also been so comforted by the kind words we have received from friends and families as well as complete strangers. Thank you all so very much. Day 106 – I am grateful that this little lady had a fun morning at preschool with her friends and has got a place at Jessica’s school for September. As hard as I know I will find it on that first day, I am glad that we will have that continuity with Jessica’s school and that Sophie will follow in her big sister’s footprints. Day 107 – I am grateful for all the kind words, cards, messages, love and support that is surrounding us at the moment. Day 108 – I am grateful for the lovely fairy house that Nanny bought Sophie to go in our fairy garden. Today has been really tough and I’ve had a lot of angry moments. Have been taking them out on the weeds and the new remembrance roses have been planted in the garden next to my girls’ namesake roses. Day 109 – I am grateful that Sophie enjoyed going to her usual Thursday groups. Day 110 – I am grateful that we were able to attend an assembly at Jessica’s school this morning where her friends remembered her and shared some of their memories. Year 1 sang Over The Rainbow so beautifully and the memory basket we were given with Jessica’s school work, photos and messages and pictures from her classmates is something we will treasure. We are thankful too for how wonderfully supportive Jessica’s school have always been when it came to meeting her needs and how well they have been handling breaking the news of Jessica’s passing to her classmates and helping support them during this time too. Day 111 – I am grateful for time with friends. You are amazing Louise and this gratitude challenge is the perfect way to honour your beautiful, joyful little Jessica. You are all very much in our prayers and thoughts. Everyone in your support network needs to continue to hold you close. I can’t put into words how impressed I am with the way you are coping at this extraordinarily difficult time. It’s not just your positivity that impresses, but also the clarity with which you’ve been able to describe painful experiences. This blog is such a valuable resource for anyone who is now facing a similar situation, and anyone who may be in future. Potentially, that’s a very large number of people.